A fast C++ implementation to generate contour lines (isolines) and contour polygons (isobands) from regularly spaced grids containing elevation data. Generate contour lines (isolines) and contour polygons (isobands) from regularly spaced grids containing elevation data. The two main workhorses of the package are the functions isolines() and isobands(), respectively. They return a list of isolines/isobands for each isolevel specified. Each isoline/isoband consists of vectors of x and y coordinates, as well as a vector of ids specifying which sets of coordinates should be connected. This format can be handed directly to grid.polyline()/grid.path() for drawing. 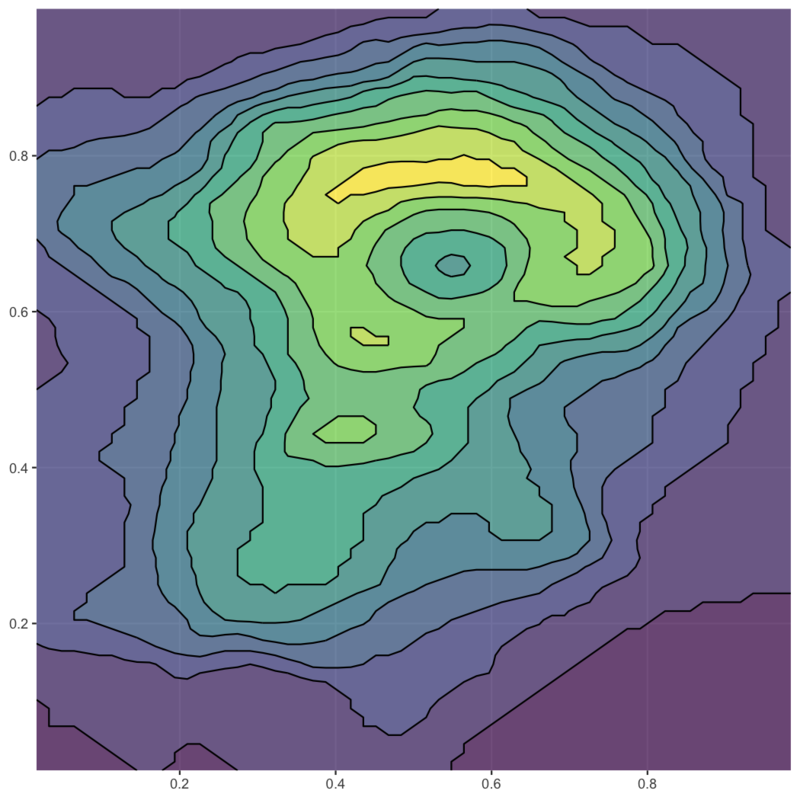 However, we can also convert the output to spatial features and draw with ggplot2 (see below). The function plot_iso() is a convenience function for debugging and testing. A few more simple examples. Missing values and disconnected areas are all handled correctly. The algorithm has no problem with larger datasets. Let’s calculate isolines and isobands for the volcano dataset, convert to sf, and plot with ggplot2. 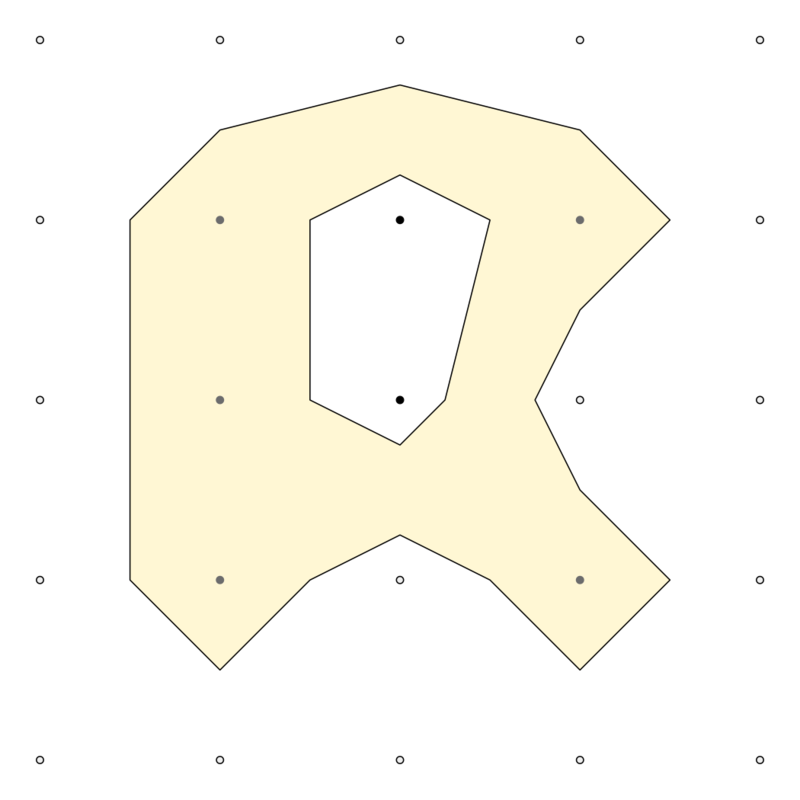 We can also use this approach to convert bitmap images into polygons and plot with ggplot2. The code is written in C++ and performance is generally good. Isolining is about as fast as grDevices::contourLines(), isobanding is approximately 2.5 times slower.